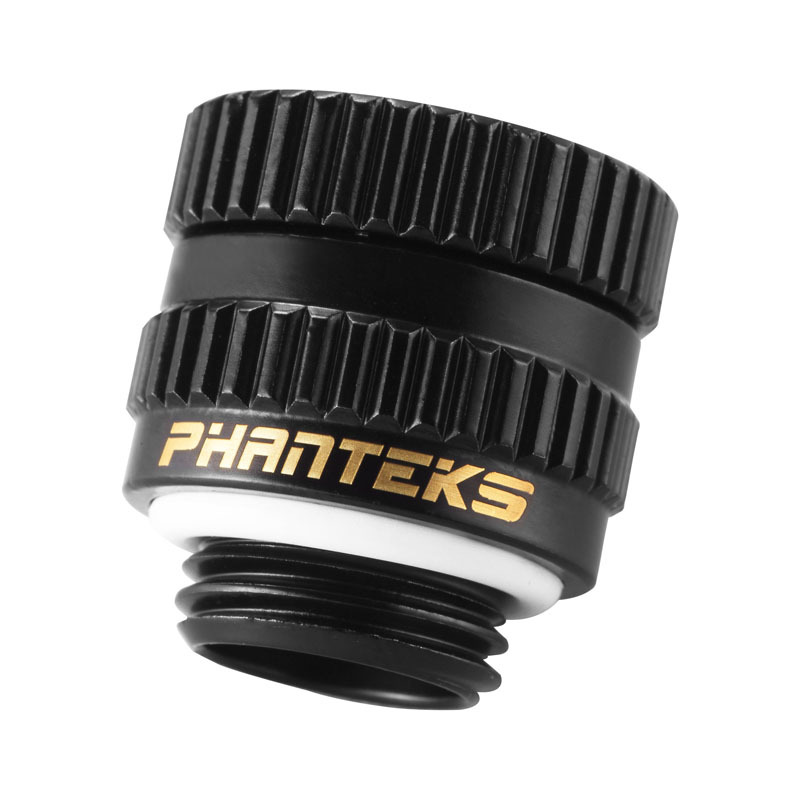 News Phanteks Glacier Water-Cooling Fittings - Designed for Performance! 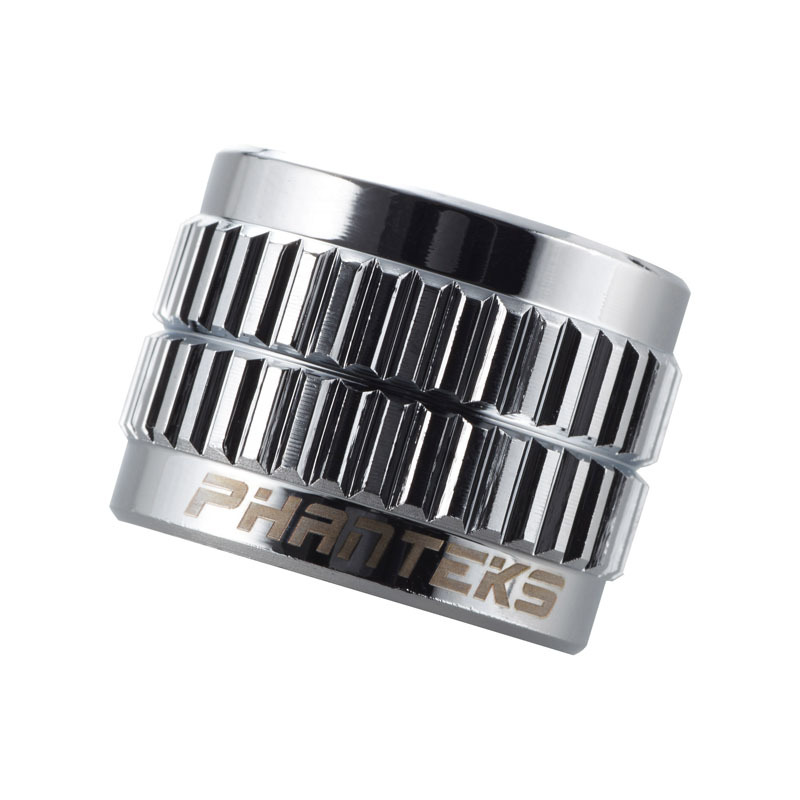 Phanteks Glacier Water-Cooling Fittings - Designed for Performance! 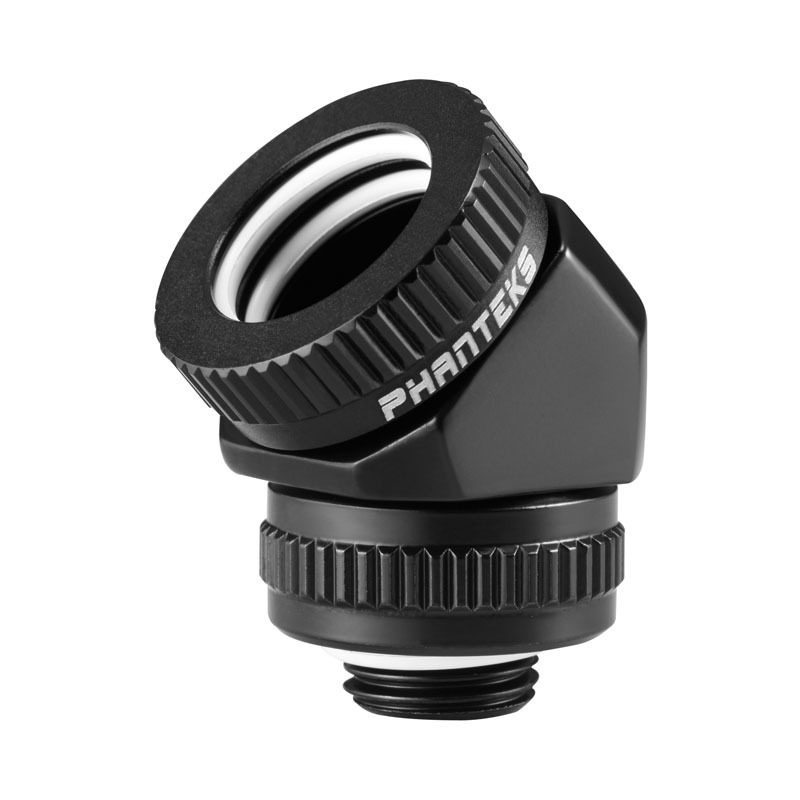 Phanteks is expanding their water-cooling range and has equipped their Glacier series with additional fittings for hard-tubes and universal connectors. 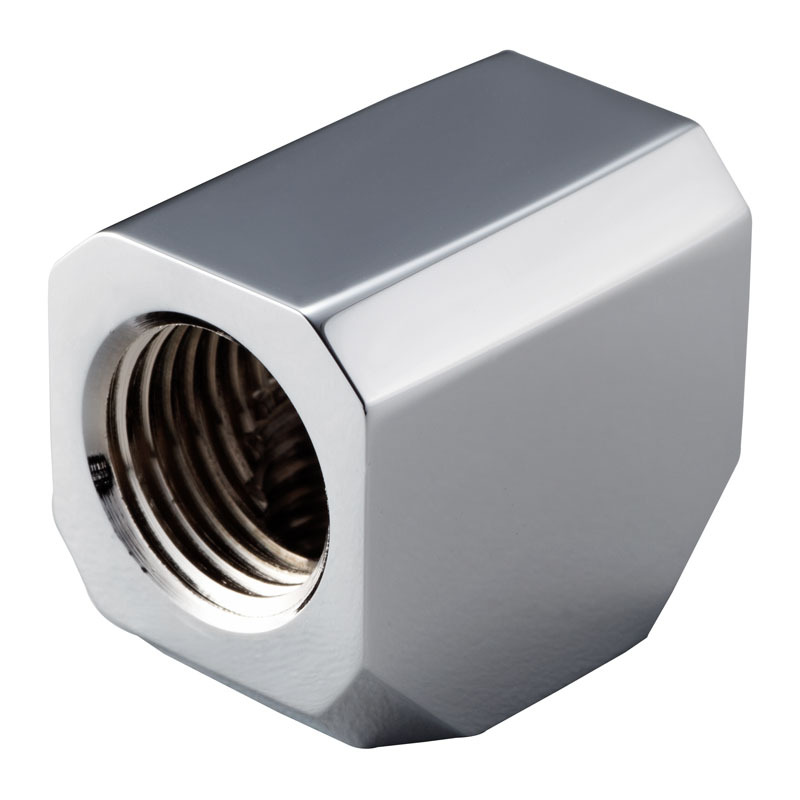 Made from brass and created using CNC machines, these high-precision fittings are available in various types and angles, furthermore they come in two premium colours (black or chrome). Equipped with a high-flow design, the fittings offer superb performance for custom water-cooling setups and are primarily targeted at the Glacier waterblocks from Phanteks. 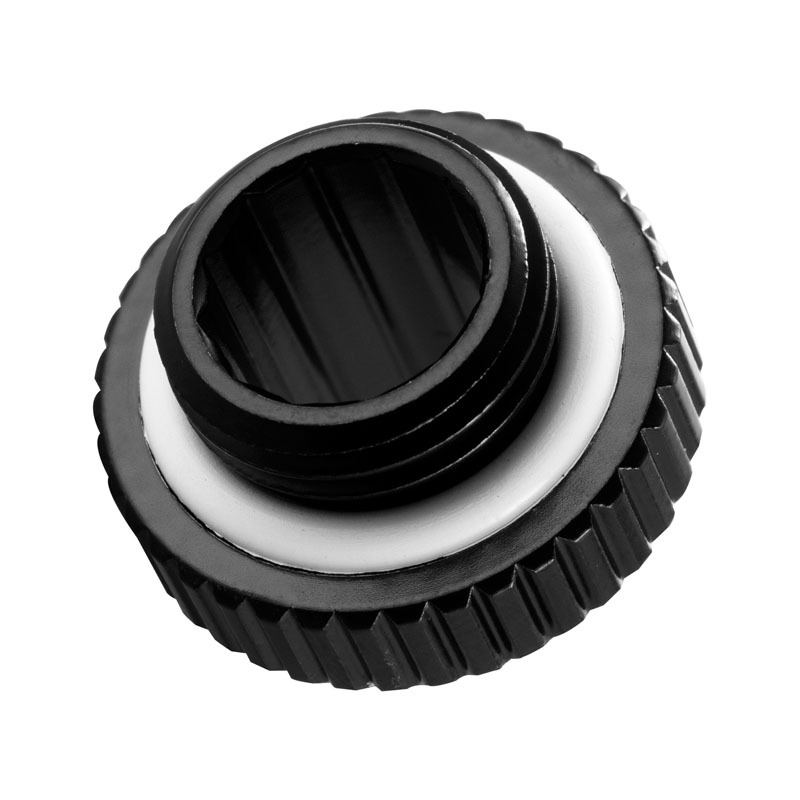 Manufactured to Optimise Water-Cooling Performance! 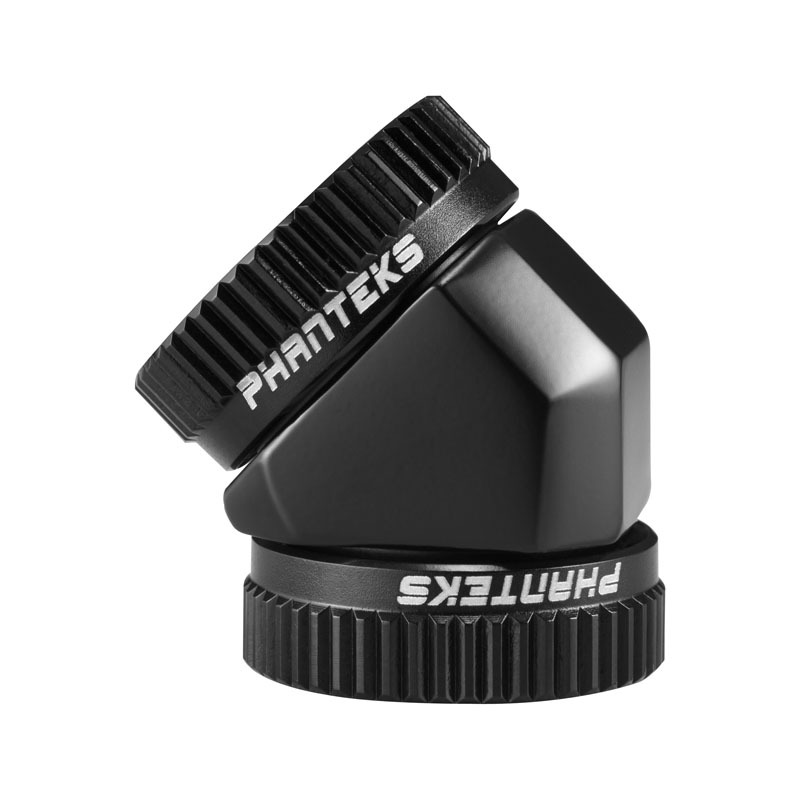 The Phanteks Glacier Fittings have been designed so as to ensure compatibility with all available Phanteks water-cooling components while coordinating with each other aesthetically. 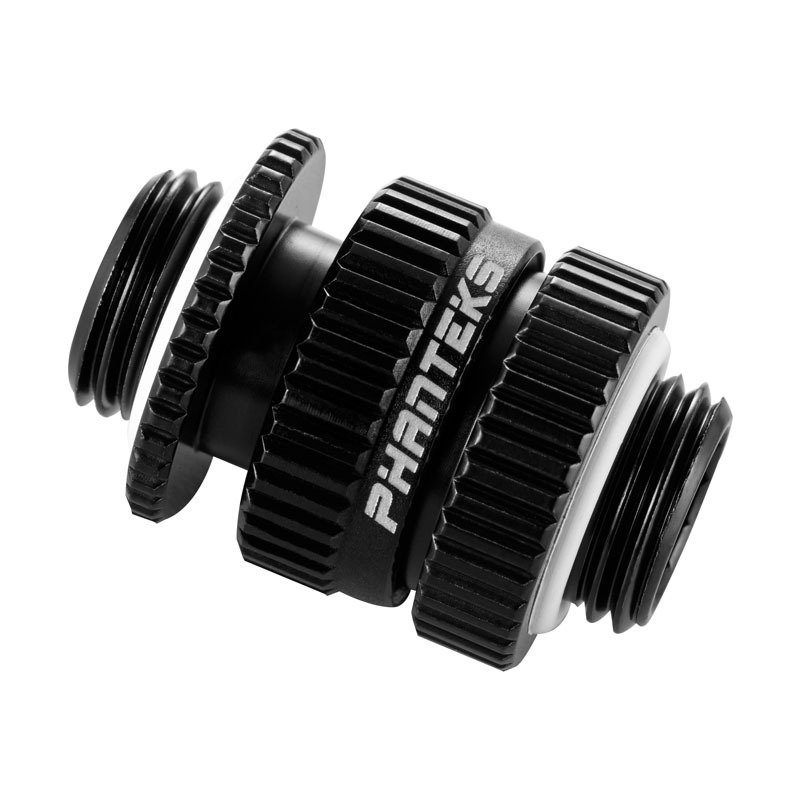 To this end the fittings have been manufactured in the highest quality materials to meet the demanding requirements of Phanteks. 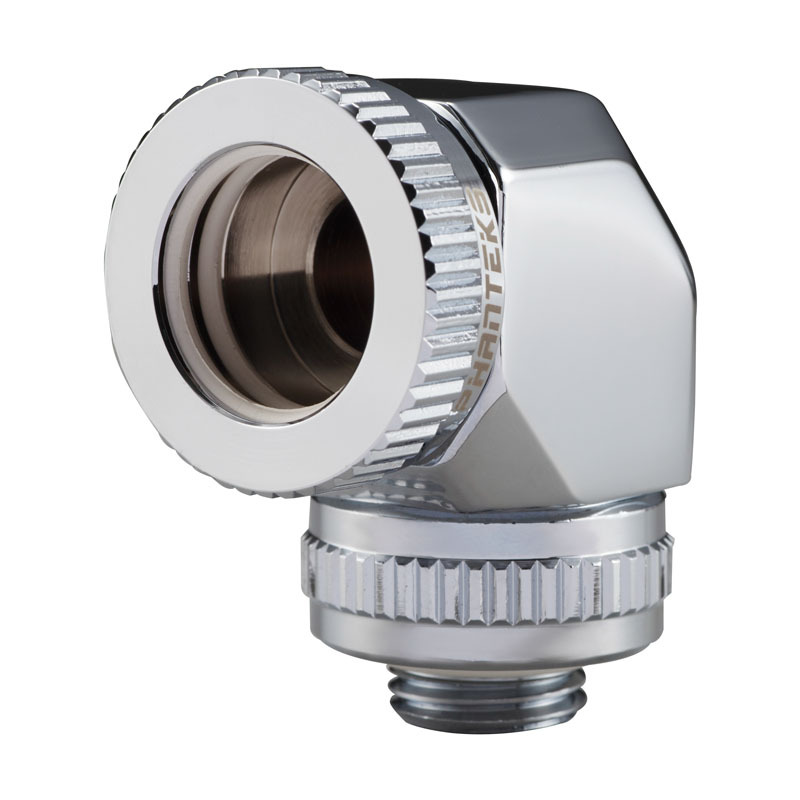 The Glacier Fittings have been CNC-machined from solid brass to provide an ingenious high-flow design capable of meeting the requirements for extreme water-cooling. 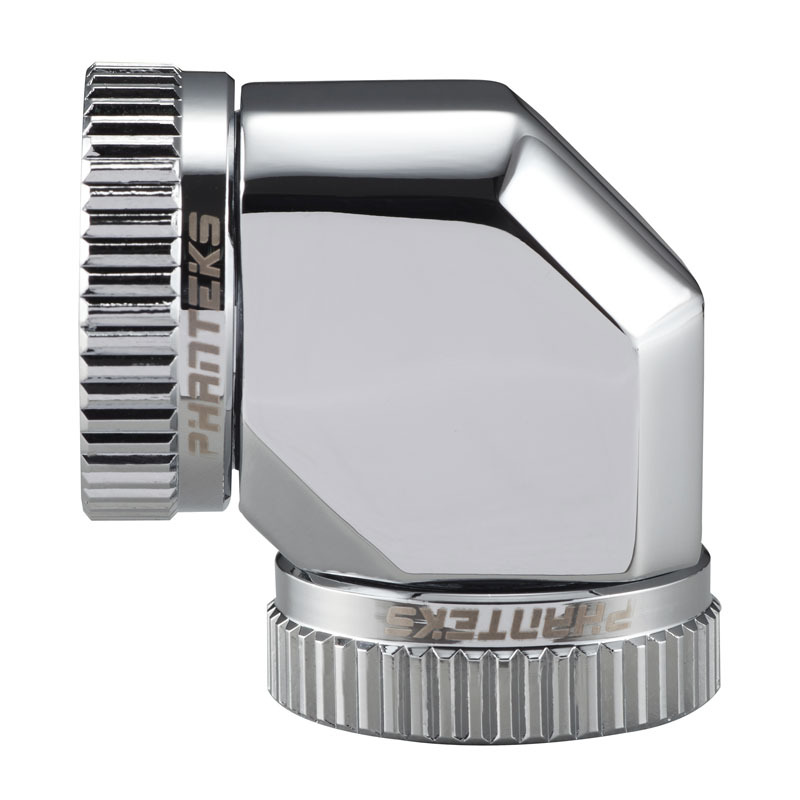 The fittings are available in a striking black as well as shining chrome. They are resistant against extreme temperatures and aggressive liquid coolants, meaning that their lifespan is dramatically increased. The fittings for hard tubes are furthermore designed for pipes with an outer diameter of 12 and 16 mm and utilise a high-end Viton O-ring to ensure a superb watertight fit for the cooling loop.